The growth of e-commerce sales can be unpredictable and explosive. You may need to respond quickly as you notice order volume increases, changing customer demands, seasonal promotions, and fluctuations in your business. You will need to have the right amount of warehouse space and personnel to deal with peak demand. Unfortunately, if you are managing your operations on your own, you may be paying more than you need to and wasting space when volume slows down. You may not be as large as Amazon, but if your business is growing you need to be able to scale your business to accommodate new customers and more orders. If you need to start small, it’s a good idea to set up your logistics division with a 3PL provider. The demand for products can change depending on the season, promotions, partnerships, and more. Working with a 3PL partner can provide you with on-demand, agile kitting and assembly services that meet your distribution needs. Your 3PL partner’s customized kitting and assembly services may include banding, shrink-wrapping, gift boxing, custom cartons, barcoding, refurbishment, and more. When you start warehousing, you should make room for the growth of your business. If your inventory grows, you will have the space you need to accommodate more products in variety and quantity. If you are a small business or startup, it can be too costly to rent your own warehouse space, and inefficient to work out of your home. That’s why hiring a 3PL provider is a wise plan. They can manage your inventory and track every item that goes in and out of the warehouse, so you always know what’s happening. Today’s e-commerce customers demand fast and free shipping, so minimizing transportation costs will be vital to your cost savings. It is a good idea to provide competitive service using economy shipping options whenever possible. A 3PL provider can offer convenient locations to help you manage shipping costs. They also have established carrier networks, which can provide you with flexibility to choose the optimal level of service for each shipment at the right price. Expanding into new national and global markets is one of the biggest challenges faced by distribution companies. Access to forwarders, depots, and a network of supply chains are assets that 3PL companies can provide. This team of specialists can help you pick and dispatch your products to your customers all around the world. By consolidating all your small goods into one shipment, you can reduce shipping charges. Working with a service provider that sends several small packages as one large package is known as a consolidation service. This is one of the many services provided by a 3PL provider. When it comes to your business a customer service policy is something you cannot forget and is vital to keeping your customers and your business happy. A 3PL provider can help you focus on your customer service so you can take care of every matter, keep your customer informed during the process, and use the negative feedback to improve your business. Order volume increases as your business grows, which can include new orders and returns. Although this is your main goal as a business, you can run the risk of inadvertently stepping into a situation that you cannot control, as you find yourself constantly trying to keep up. This situation can quickly create order backlogs, supply chain delays, and an inefficient system. 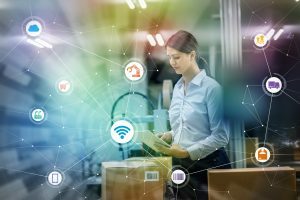 A 3PL company allows you to access the latest technology in storage, packing, and distribution that can scale with your business so you don’t need to stress when order volumes increase or inventory slows down. Continued focus on process and quality is essential to handling an increase in volume without negatively impacting order accuracy. A 3PL provider with fulfillment automation solutions can improve order accuracy for you. Their experience in continuous improvement methodologies can customize the process, incorporate proven best practices, and leverage advanced fulfillment automation. Providing tracking for your customers’ deliveries adds great value to your e-commerce business. You can provide customers with real-time information about the status of their shipments, and the communication goes a long way. Keeping customers informed of any unforeseen problems that may delay their order can improve your customer service strategy. A 3PL provider can provide these metrics for you so you never have to run out of stock and can always meet demand. E-commerce order fulfillment services provide incredible opportunities for businesses to improve their customer experience and loyalty. With the right 3PL partner, you can provide customers with convenience and an enjoyable online shopping experience. Managing your operations may be a difficult task on your own, especially as your business grows through your marketing efforts. Instead of trying to juggle all these moving parts, you can let a 3PL provider help you. APS Fulfillment, Inc. prides itself on being one of the best e-commerce 3PL providers by offering the most dependable, effective e-commerce fulfillment services possible, every day. If you need help managing your e-commerce processes or believe it’s time for an upgrade, we can help. We are an experienced e-commerce order fulfillment company that can provide advice on shipping processes and we offer our clients a variety of hands-on services including product fulfillment, direct mail marketing, fulfillment solutions, and fulfillment markets. We also use the best quality software systems to manage your warehouse, so if you’re looking for the right company, look no further than APS Fulfillment, Inc. You can contact us by e-mail at [email protected] or by phone at (954) 582-7450.